GLOUCESTER — One day last spring, Greg Gibson went to visit the man who murdered his son. 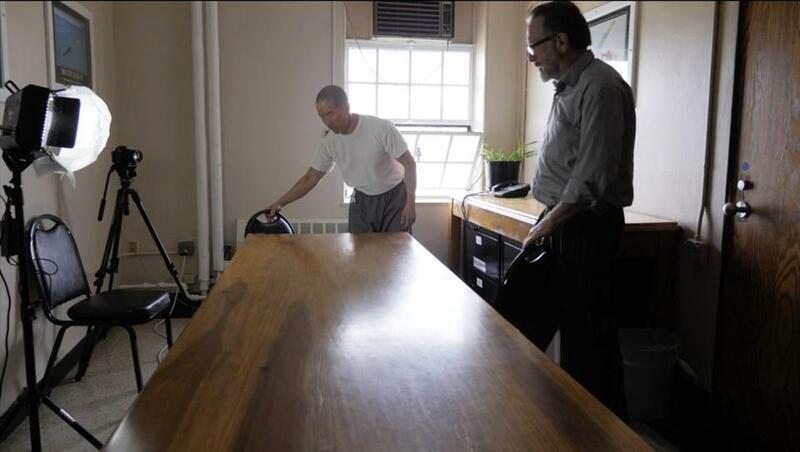 It was the second time Gibson had made the 90-minute drive from his home in Gloucester to MCI Norfolk to see Wayne Lo, who is serving two life sentences for the 1992 shooting spree at Bard College at Simon’s Rock. Seven years before Columbine started a stream of mass shootings so steady that they are now terrifyingly commonplace, Lo stormed onto the campus in Great Barrington and killed Galen Gibson and a teacher, Ñacuñán Sáez, and wounded four others. On this Norfolk visit, with Lo’s cooperation, Greg Gibson was accompanied by a camera crew. Together, the killer and the man whose son he killed were going to make a video. Gibson and Lo’s relationship, such as it is, is not a friendship. It is not a study in forgiveness or reconciliation or even grief. And it’s definitely not about — what’s that word everyone uses? — closure. No, since the first letter from Lo arrived almost 20 years ago, their relationship has simply been a transaction. And so Gibson, an author, antiquarian book dealer, and survivor-activist with Everytown for Gun Safety, came to the prison to get something he wanted. It’s something he’d been hoping to find ever since that night in December, 25 years ago: a message about America’s gun laws that might finally make a difference. “He’s told me over and over again the most horrible thing was how easy it was to get the gun,” Gibson said in an interview last week. “About five years ago I get this idea: Jesus, that would be a powerful message.” So Gibson came to capture it. 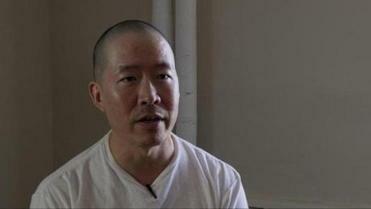 In a scene from the video, Greg Gibson (right) prepares to sit and talk with Wayne Lo at MCI-Norfolk. Lo was 18 and, like Galen Gibson, a student at Simon’s Rock. But Lo, who later said he was being instructed by God, walked into a gun shop that afternoon in December and walked out with an SKS rifle. He brought it back to his dorm room, where he’d stockpiled 180 rounds of ammunition and equipment that he’d had delivered to campus, and made a simple modification that allowed the SKS to accept 30-round magazines. He was hearing voices. He’d never fired a gun before. And with a couple hundred dollars and very little effort, he was armed for combat. It shouldn’t be so easy: This, at its most basic, is the message Gibson has been trying to share — hoping, for years, that some particular combination of words and sounds and images, some special incantation, might spur change. And yet, there are a lot of places in America where someone like Lo could still do exactly this, or worse. Frankly, the SKS Lo bought pales in many ways to the kind of firepower someone could quickly amass today. Gibson would like this message, perhaps through video, to reach the 80 percent or so of Americans who tell pollsters they support a bevy of gun law reforms like universal background checks and assault weapons bans. They ought to be reachable; in theory, they have already been reached. But a great many of them are clearly not “putting down their clickers and writing to their senators,” Gibson said. They are not becoming single-issue voters. They want to buy the grand vision Gibson, Lo, and survivors from Parkland and too many other places are selling. But they don’t actually follow through. Maybe the video, posted in February to the sharing site Vimeo but not yet widely circulated, can change that. Greg Gibson at his home in Gloucester. 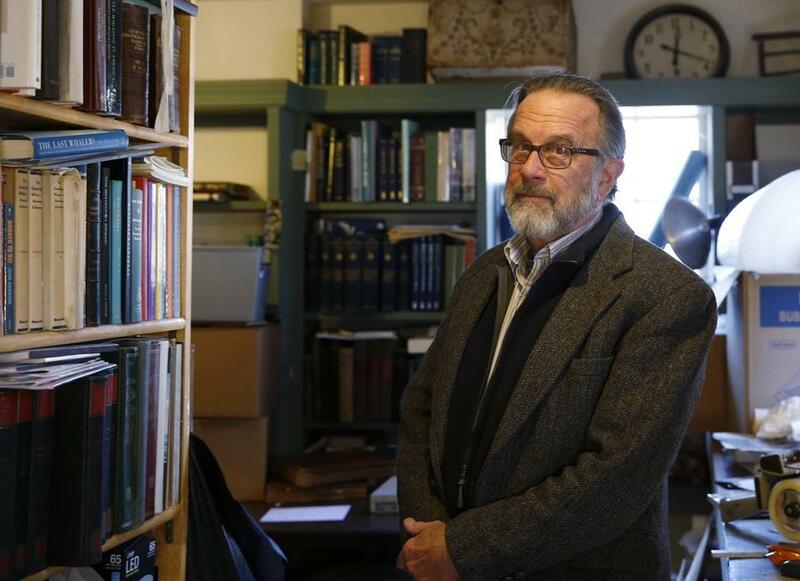 A Navy veteran with the beard of a fisherman and the manner of a beloved English professor, Gibson settled in Gloucester for good after leaving the service in 1971. He started Ten Pound Island Book Co. there in 1976 and never left, raising three kids with his wife, the artist and gallerist Anne Marie Crotty. 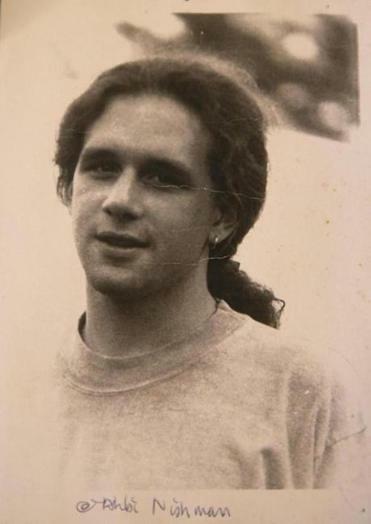 A photo of Galen Gibson, who was murdered in 1992, hangs on the wall inside his father's bookstore in Gloucester. It was Galen’s death that sent Gibson from selling books to writing them: “Gone Boy,” his attempt to grapple with Galen’s murder and his own grief and rage, was named one of Publishers Weekly’s best books of 1999. He followed it with two more well-received nonfiction books and, in 2013, a novel. Gibson knows that his working relationship with Lo is unusual. It’s hard for many to fathom. For other survivors of Lo’s rampage, who’d understandably prefer not to think about the killer, let alone hear his voice or see his face, it’s deeply painful. It is also not something Gibson sought out. Several years after the shooting, Lo reached out, through intermediaries, hoping to send Gibson a letter. “I had utterly no interest in it,” Gibson said, but he spoke to Lo’s father, who explained that something had changed: Lo had read “Gone Boy.” Gibson agreed to receive the letter. A few times a year, another letter would arrive, and Gibson would send one back. The shape of that recompense is a little strange. Lo, who has taken up embroidery, sells his artwork online and donates all the proceeds to the Galen Gibson Fund. “He ... sells them to these freaks who buy [stuff] from murder guys,” Gibson said — a concept known as murderabilia. Over the years, Lo has been the biggest donor to the fund, which makes contributions to community groups that support victims of gun violence and organizations that promote common sense gun laws. In an e-mail from prison last week, Lo explained what he gets from the transaction. The video was produced by a professional documentary filmmaker, Mark J. Davis, who declined to accept a check from Gibson’s fund-raising efforts as payment, instead putting the money toward a longer project. It is Gibson’s second attempt to use Lo’s story of regret and easy access to powerful weaponry to move the gun safety needle. In 2017, the first meeting between the two men was captured by the nonprofit StoryCorps. In the new five-minute video, Lo does not cry. “I was a coward,” he says, after Gibson asks why he chose a gun instead of, say, a baseball bat. “I wanted to inflict pain on others, but I didn’t want to be personal about it.” Lo says he knew he wasn’t old enough to buy a handgun, but that he could get a rifle. He’d seen ads in the newspaper for them. “They were cheap. The ammunition was cheap,” Lo tells Gibson. “The 30-round clips were cheap. There’s an easy way to make it into a military-style weapon.” High-capacity magazines like that are now illegal in Massachusetts — as, with a few caveats, are the kinds of weapons typically used in the many mass shootings all over America since. Today in Massachusetts, buying a rifle requires obtaining a Firearms Identification Card, approved by the local police department (Lo was not a Massachusetts resident when he purchased the SKS here, which actually made his path easier by eliminating some requirements for residents; that loophole has since been closed). But in many states, Lo’s path to murder would be no more difficult now than it was in 1992. For about the same money, plus a short drive into New Hampshire, someone like Lo could today amass an even more powerful arsenal. The interview is over. Gibson walks away. But what if he’s not? The video is four minutes and 43 seconds long. It took 25 years of grief and loss to produce. And all Greg Gibson asks is that you watch it. Nestor Ramos can be reached at nestor.ramos@globe.com. Follow him on Twitter @NestorARamos.